There are several reasons people get fired from their jobs. Some of the reasons are due to factors the employee can control. Sometimes, though, a person can lose their job through no fault of their own. It's important that all of your dealings with your employer be honest and above board. This needs to start from the time you actually apply for the job. May employers are now checking education and work history a lot more carefully than in the past. If you fudge anything on your resume and your employer finds out (even after you are hired in some cases), you are running the risk of being fired from your job for fraud. If an employee consistently shows up late for work (or not at all), he or she may be fired for that reason. Many employers will understand if something unexpected happens and an employee is running late, but do call in to let your employer know what is happening. Chronic poor attendance may be a sign that a particular job is not a good fit for you. 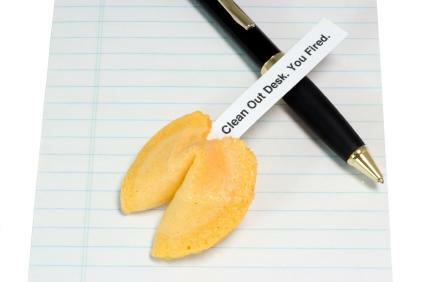 In that situation, being fired may be the kick start you need to find work that would suit you better. This is generally known as "goofing off at work." Showing up and spending time chatting with co-workers, on personal calls, or even running your own business during work hours another one of the reasons people get fired. The employer is paying for work to be done, and time spent chatting around the watercooler, sending and receiving e-mails, and surfing the Internet instead of working are the biggest time-wasters in the workplace. Make a habit of doing any of these, and you may be given your walking papers. 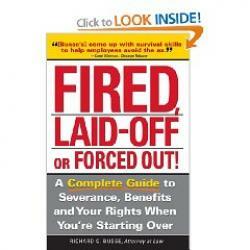 If you are having difficulty getting along with people you work with, this my lead to you being fired. Even when an employee makes a genuine fit in with the management's style, they still are not able to see eye to eye. The manager's way of behaving sets the tone for the workplace, and if the person in that position is difficult to get along with, this may be another situation where being fired may be blessing in disguise. Sometimes people are fired from their jobs through no fault of their own. When company finances get tight, employers are looking to cut down on costs where they can. In many cases, they decide that trimming the budget for staffing is a place where they can afford to cut some fat. The savings that come from a layoff are not limited to wages alone; the employer also gains from the reduced cost of life and heath insurance premiums from a smaller workforce. When management is focused on cost savings, they aren't necessarily factoring in how the smaller work force they are now employing will be able to keep up with the workload. This effort to cut costs may end up costing them more in the long run if they experience increased rates of absenteeism or have to replace staff who move on to other opportunities. As you can see, there are many reasons people get fired. While some of them are within the employee's control (such as showing up at work on time and doing the work you are assigned in a timely manner), other ones have nothing to do with your performance at all.